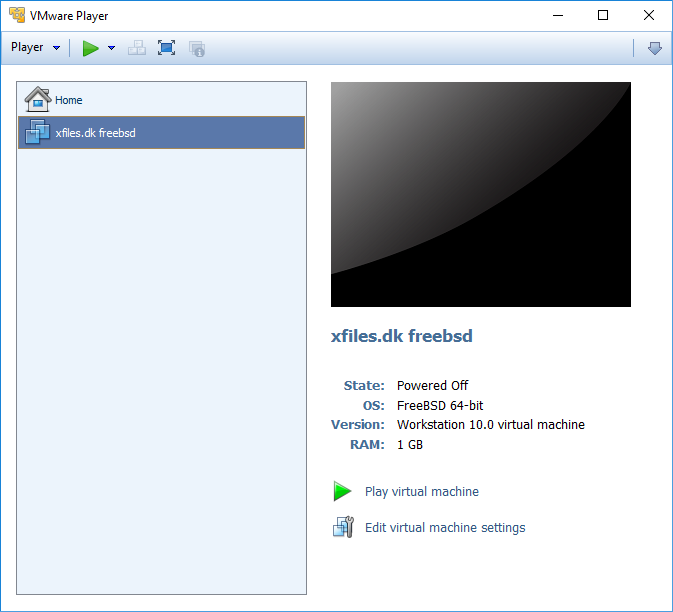 Getting FreeBSD to run on VMware Player is quite simple and can be done in a few steps. 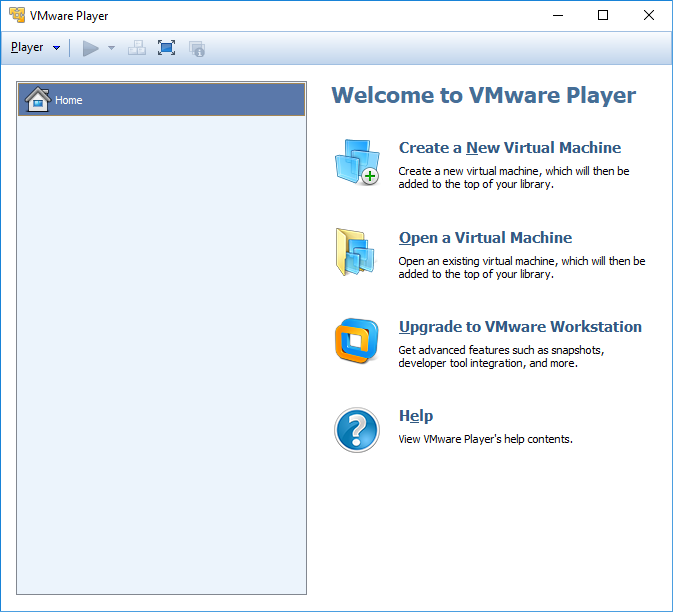 Start up VMware Player [screenshot]. 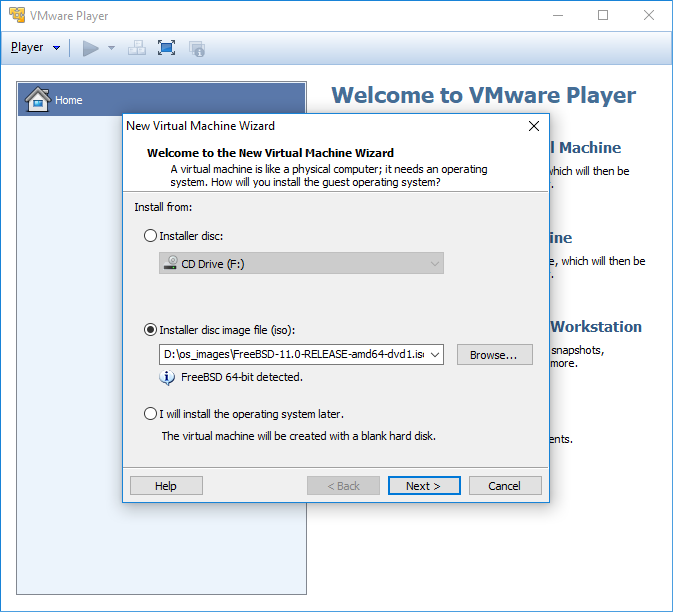 Next select “Player” then “File” from the menu and then “New Virtual Machine” [screenshot]. Now we need to Select the source from where to install from [screenshot] this guide uses an ISO image. [screenshot]. 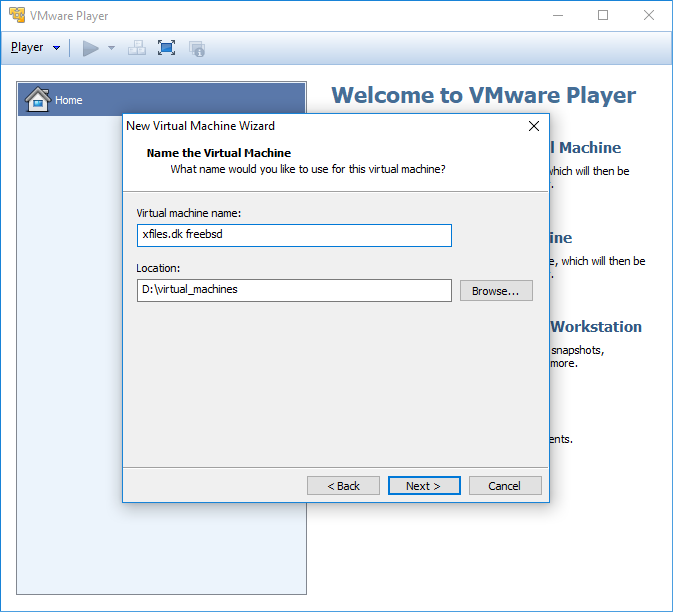 Select a name and a location for where to store the virtual machine. [screenshot]. 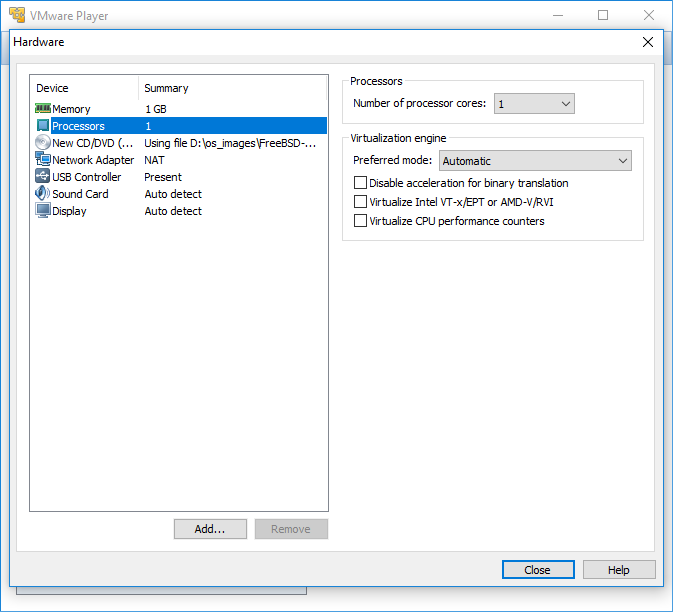 Next choose how much hard disk space you would like to use for the virtual machine. [screenshot]. 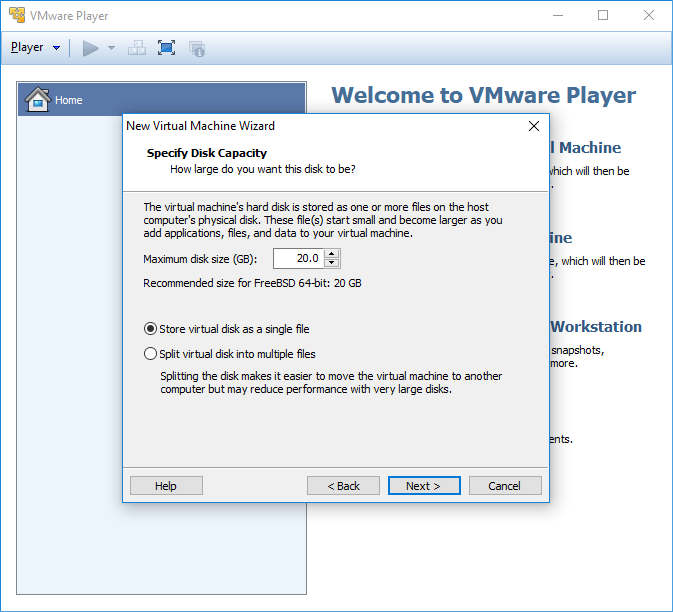 Here you also choose whether to split up virtual hard disk into small files or 1 large file. 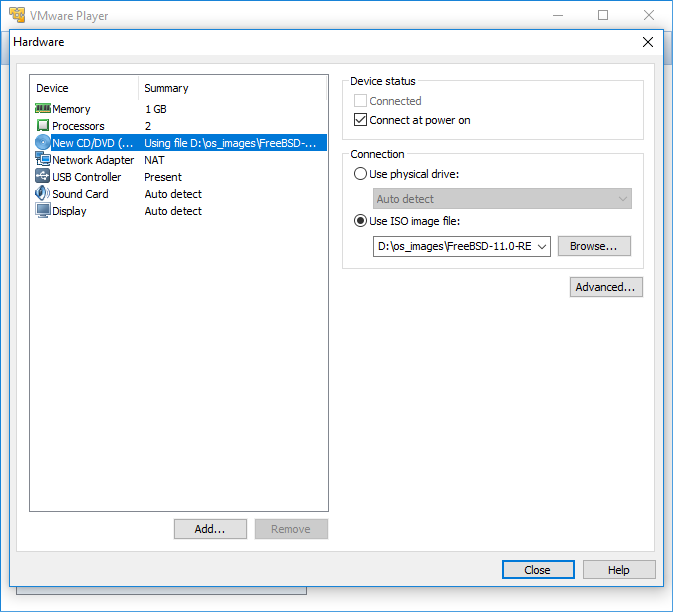 If you have enough disk space available choosing a single large file for the hard drive can and probably will give you a performance boost. [screenshot]. Important don’t click “Finish” just yet [screenshot]. There are a few things we need to configure before starting up the virtual machine, so click “Customize Hardware”. 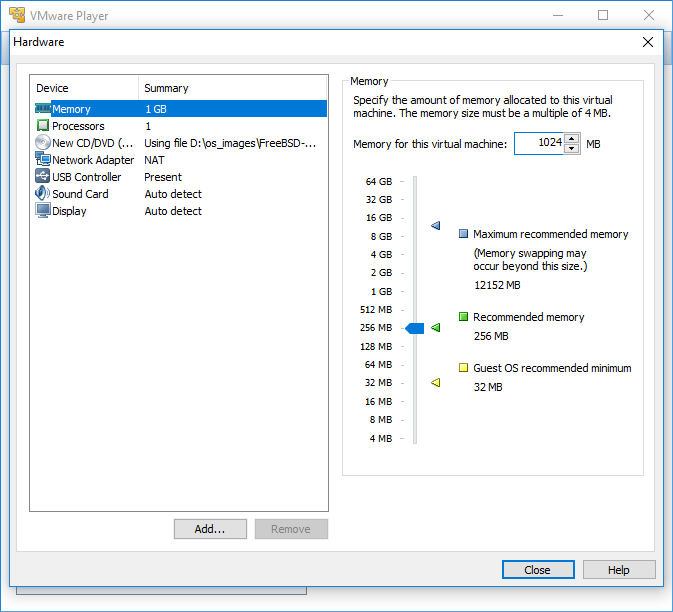 The first thing we will adjust is the amount of memory to use with the virtual machine [screenshot] adjust the amount of memory being used to fit your needs [screenshot]. Next processors [screenshot] adjust the amount of virtual processors to fit your needs [screenshot]. Make sure the CD/DVD is set to “Connected At Power On” [screenshot]. 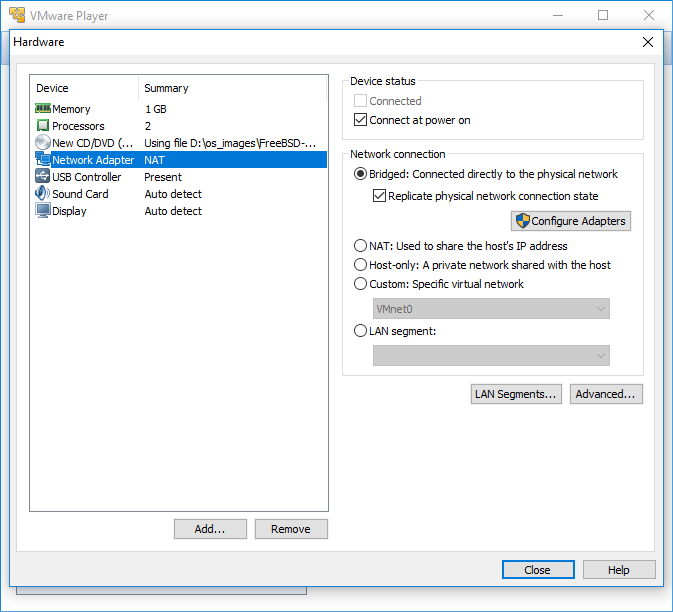 First make sure the Network adapter is set to “Connect At Power On” [screenshot]. Next chose what network settings to go for, that would be either NAT [screenshot] or Bridged [screenshot]. If choosing bridged and this is done on a laptop be sure to check the box “Replicate physical network connection state” by doing this you will not having any issues when switching from LAN to Wi-Fi. Once you are done click “Close” and you are being returned to the “Customize Hardware” settings screen. 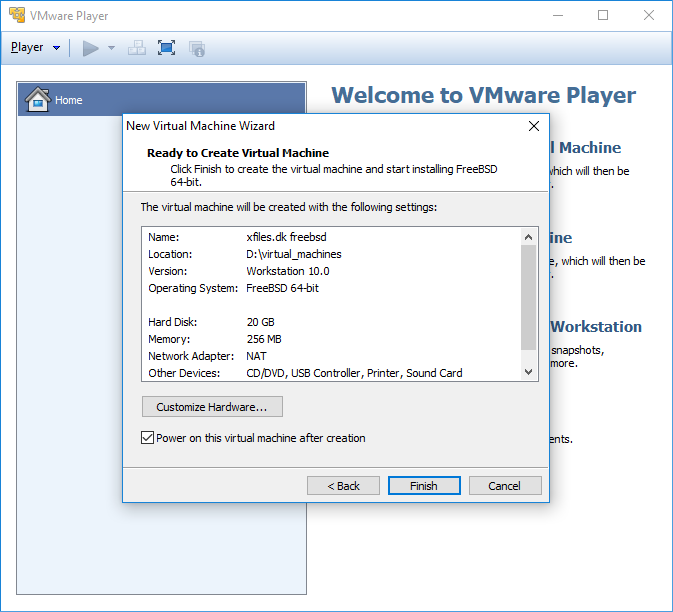 [screenshot] Here you click “Finish” and we are back at the VMware Player main screen [screenshot]. 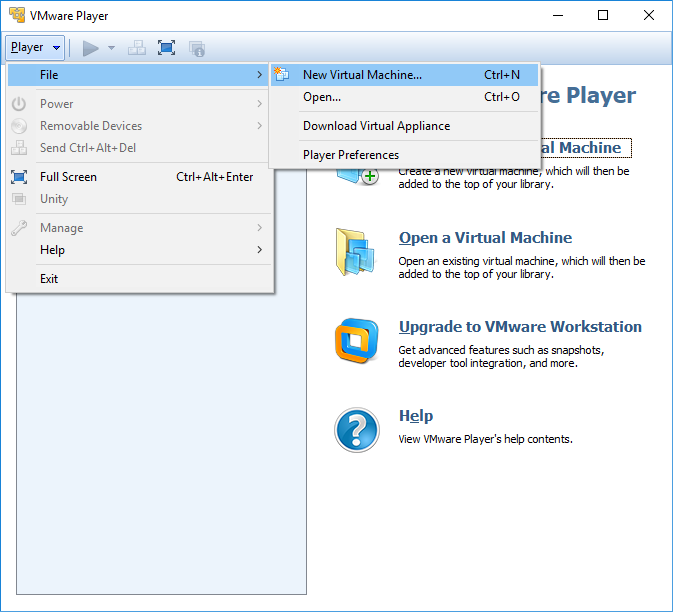 You are now ready to fire up your VM by clicking the “Big Green” play button [screenshot]. Once clicked you will see FreeBSD boot up and ready to be installed [screenshot] just as if it was a physical machine.